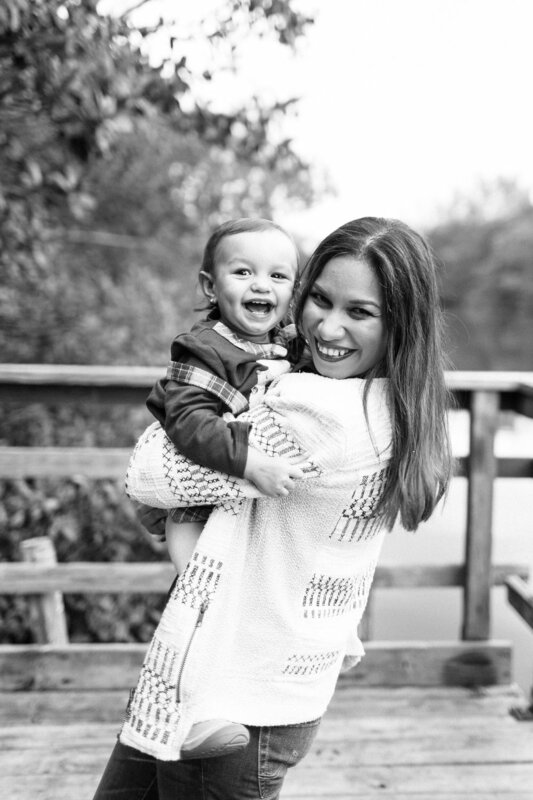 Amazing Mom Bryttany Hyde has found the perfect title for her crazy role as a mom... “Parental Chaos Momager.” She is raising her multi-cultural, mutli-ethnic family in the conservative Southern United States. She juggles her work as a blogger and mom-preneur with the “parental chaos” that comes along with being a wife and mom to her two kiddos “Kbebe” and “The Sweetness.” She’s “showing us her real” by sharing her motherhood trials, triumphs and advice with ispeakmom.com readers. The greatest challenge comes in finding our rhythm as a multicultural family. We are a family of four. My husband’s heritage is Irish-American and I am Afro-Latin. Both my husband and I come from conservative backgrounds, but want to raise our children to be open minded. Our biggest struggle has been keeping our rhythm around other family members who may view life differently than we do. Both my husband's parents and mine, have a pretty conservative viewpoint, whereas we are more independent minded. In certain situations where racism is discussed we don’t always see eye to eye. In those situations, my husband and I are pretty vocal without being disrespectful. We do not agree in many political situations with our family. However, we always come together as a family on the ride home to discuss our viewpoints and teach our children that love and equality always come first. To be honest, although we live in the South, I can’t recall an instance where we were made to feel uncomfortable as a biracial family. We do get a few looks, but in our town, it’s becoming more and more common to be in an interracial relationship than it was in previous years. Just one? I guess one of my greatest moments as a mom would have to be the first time my bigger kid saw the younger. It was 4am so I was a bit apprehensive about him being too tired and cranky to embrace the moment. Once he fully woke up, he was completely smitten with her. It was absolutely perfect, we did a flower/herb bath together as a family and it all went like I pictured, something I am very grateful for. To this day he is still in love with his sister! He runs around looking at her saying, “you cute, cutie!” Their whole relationship is probably my greatest moment as a mom. Stop taking parental chaos so seriously! Parenting styles come in all shapes and sizes, no one has it all together. Stop worrying about being the perfect parent and focus on owning your parenting style. That’s all this thing is, owning your style and being present with your children. Some weeks are better than others and some days are better than others. But I think the main secret to managing the parental chaos is just to understand that perfection is not the goal. You can read more about Bryttany’s “parental chaos” journey over at hustleorhyde.com. Follow her on Instagram, facebook or twitter! If you’re also a Chaos Momager, check out her shirts, now available for sale here.